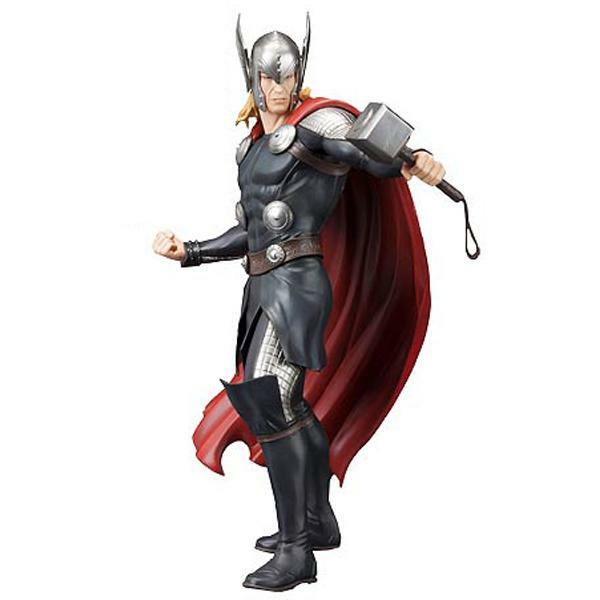 Marvel Now Thor Figure | D.G.C. As seen in Marvel Now this Thor ArtFX+ Statue is a must have for any Avengers fan! Based on the artwork of Adi Granov, the Asgardian is captured in a relaxed battle stance, turned sideways and holding out his hammer Mjolnir in front of him. 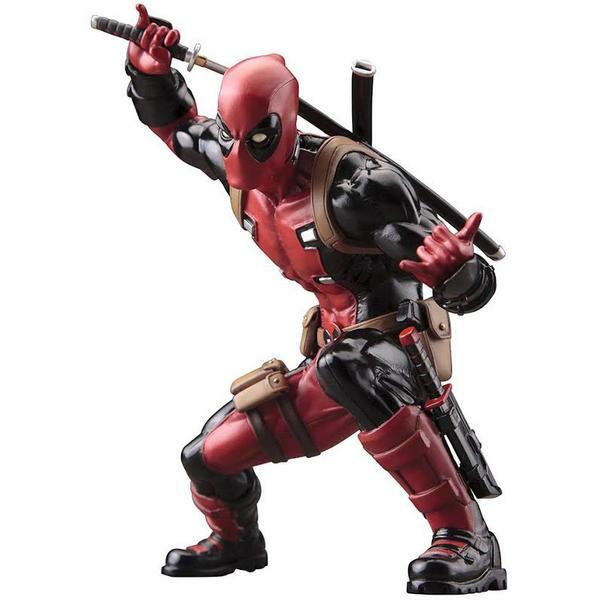 Thor wears his distinctive Marvel Now costume that combines a black tabard with silvery armor, an ornate helmet, and a sweeping red cape! Thor stands 8 1/3-inches tal and comes in a displayable window box.